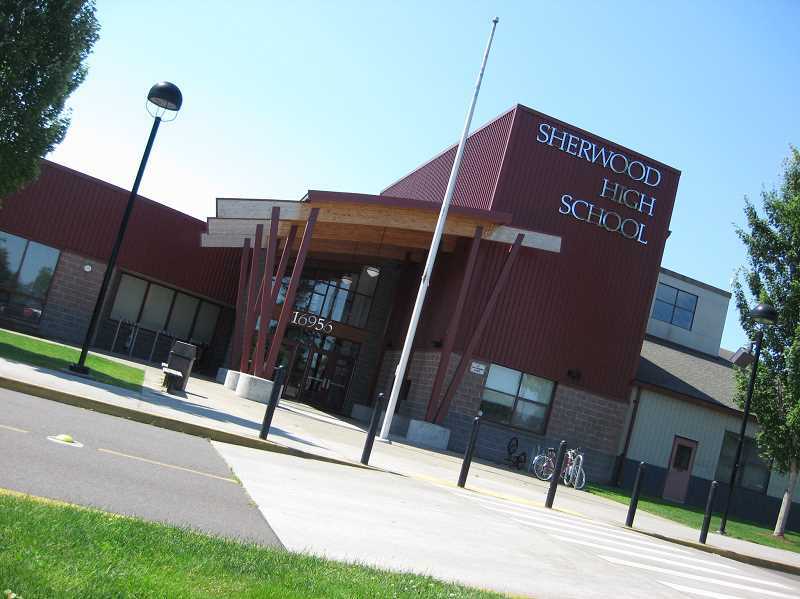 The Sherwood School District did not interfer with a student's free speech rights after he was expelled from SHS in 2014. A federal appeals court has upheld the decision of the Sherwood School District to expel a student for one year after he created a so-called "hit list" in 2014. A ruling handed down on March 14 by the 9th Circuit of the U.S. Court of Appeals found that the Sherwood School District did not violate the rights of a student identified only by his initials — CLM — when he was a junior at the school, subsequently expelling him from Sherwood High School. "The panel held that under the particular facts in this case, including the nature of the hit list, CLM's access to firearms, and the close proximity of CLM's home to the high school, the decision to discipline CLM for his off-campus speech did not violate his constitutional right to free speech," the judges wrote in a summary of rejecting the appeal. The appeals panel also wrote: "We hold that the School District's decision to discipline CLM for his off-campus speech did not violate CLM's constitutional right to free speech. A student's lack of intent to convey his off-campus speech to any third party is relevant to an evaluation of whether the speech constitutes a credible threat, but is not dispositive." At issue was the discovery of a personal journal created by the student in the spring of his sophomore year where he named "22 Sherwood High students and one former employee, and stating 'I am God' and 'All These People Must Die,'" according to court documents. The mother of the student discovered the list and turn turned it over to a therapist who felt obligated as a "mandatory reporter" to tell Sherwood police about it. In addition, the therapist told the boy's mother to contact a local crisis line – which she did – and a social worker at that agency contacted police as well. Police later searched the residence where the student lived. "Officers found and confiscated several weapons, including a .22 caliber rifle and 525 rounds of ammunition belonging to CLM, but the officers found nothing 'to indicate any planning had gone into following through with the hit list,'" according to court documents. A subsequent psychological report also concluded the boy never intended to act on the list. CLM's parents also went to the police voluntarily, giving them a copy of the hit list. "After being read his Miranda warnings, CLM admitted he created the hit list and that 'sometimes he thinks killing people might relieve some of the stress he feels,' but he also stated 'he uses the journal to vent' and that 'he would never carry out' such thoughts," he told police, according to court documents. The student was suspended, and in September 2014, an expulsion hearing was held, the result being a decision by the Sherwood School District to expel him for one year. At the time, the parents did not appeal the expulsion decision to the Sherwood School Board. They also never directly challenged the length of their son's expulsion, rather they argued "that the school district did not have the authority to expel him at all." CLM's parents initially sued in U.S. District Court in mid-June 2015, mostly on First Amendment grounds, asking for $300,000 in damages — $200,000 for the student's "impeded educational progress and compensable injuries," and another $100,000 for the parents' emotional suffering. Federal Judge Michael H. Simon granted the school district summary judgment May 16, 2017, dismissing the parents' challenge. Court documents also pointed out that the hit list created a disruption at school after officials made public the existence of such a list, saying parents demanded to speak with Sherwood High officials as well as some threatening to transfer their students out of the district, and that it was reasonable to "forecast that CLM's presence at the school would cause a substantial disruption." "We hold that the school district's decision to discipline CLM for his off-campus speech did not violate CLM's constitutional right to free speech," the appeals court wrote. "A student's lack of intent to convey his off-campus speech to any third party is relevant to an evaluation of whether the speech constitutes a credible threat, but is not dispositive." Also, according to court documents, the Sherwood School District did not limit where CLM could complete his high school education. He enrolled in online classes, had some in-person tutoring and took community college courses. "Schools must be permitted to act preventatively, taking into account other students' interest in a safe school environment," the appellant panel wrote. "Here, the school reasonably determined the risk was sufficient to take action. "In sum, we conclude that the School District could regulate CLM's off-campus speech without violating his First Amendment rights."